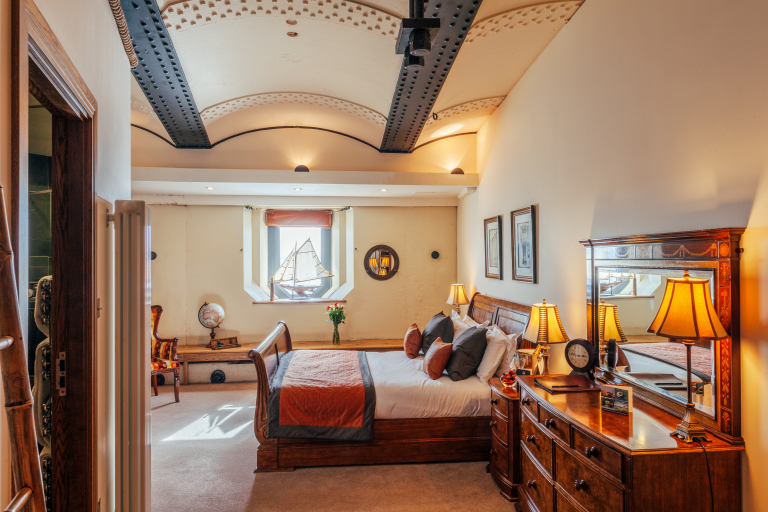 There are some places that you stay in that don’t quite make the mark but there are others that will truly captivate you and make you want to chain yourself to the room and demand you never leave. Everyone is so busy these days, people always say they’d like to be marooned on an island. Well I was. 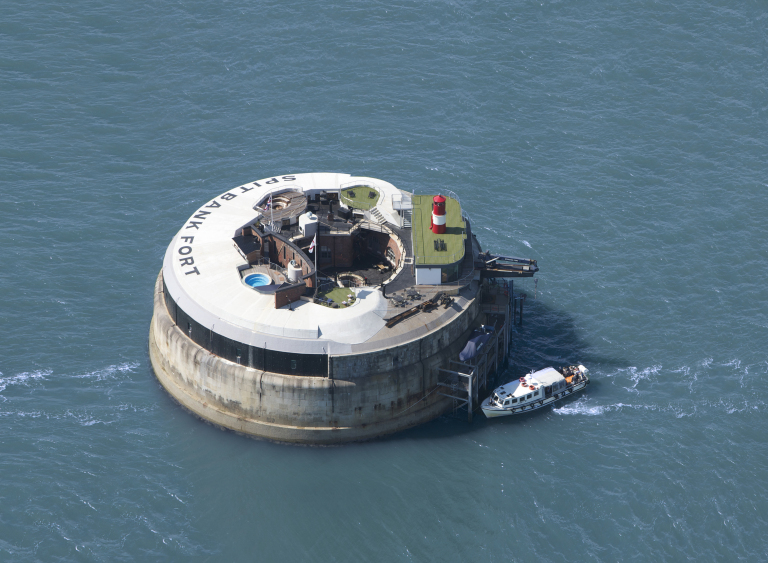 In the name of journalism I spent 24 hours on a fort in the middle of the sea near Portsmouth. And honestly, i’d probably still be there now if I could. Apparently the previous owner of Spitbank Fort used to live there on her own with her pet dogs. I mean, this woman is iconic and I think we should be friends. When visiting the fort, many people tend to dress up for their evening meal. I opted for a Ted Baker dress that I wore to a friend’s wedding a few months before…and erm…..Reebok trainers. Things you should know include: the food is incredible, there is a hot tub and the ferries to France pass by every couple of hours. Oh, and there’s only eight rooms. So you can be the ultimate social recluse if you want to. 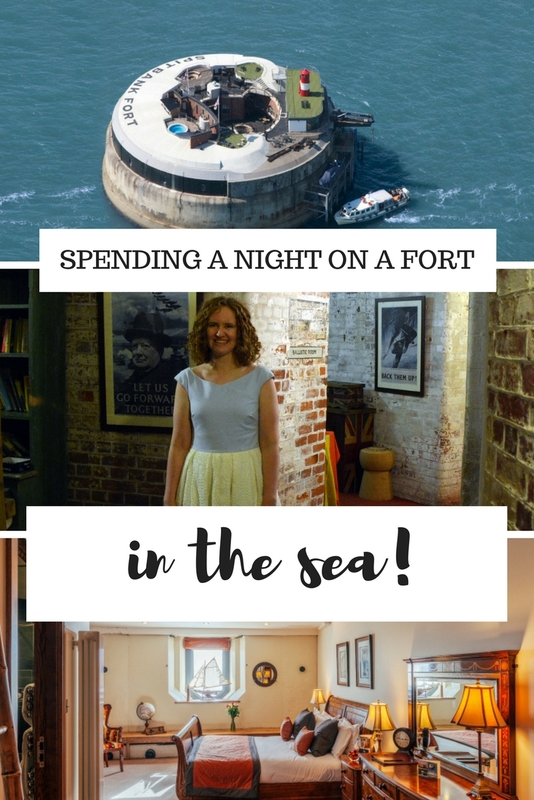 Here’s what happened when I spent the night on Spitbank Fort. I did let out a squeal, a fist pump, perhaps a high kick when I was left to my room. It was stunning and the decor was all nautical themed. I even had my own periscope to look out to sea and spot who was on the 9.50pm ferry to Brittany. There was also wifi and a tv if you wanted to feel connected to the outside world but honestly, you really don’t need it. 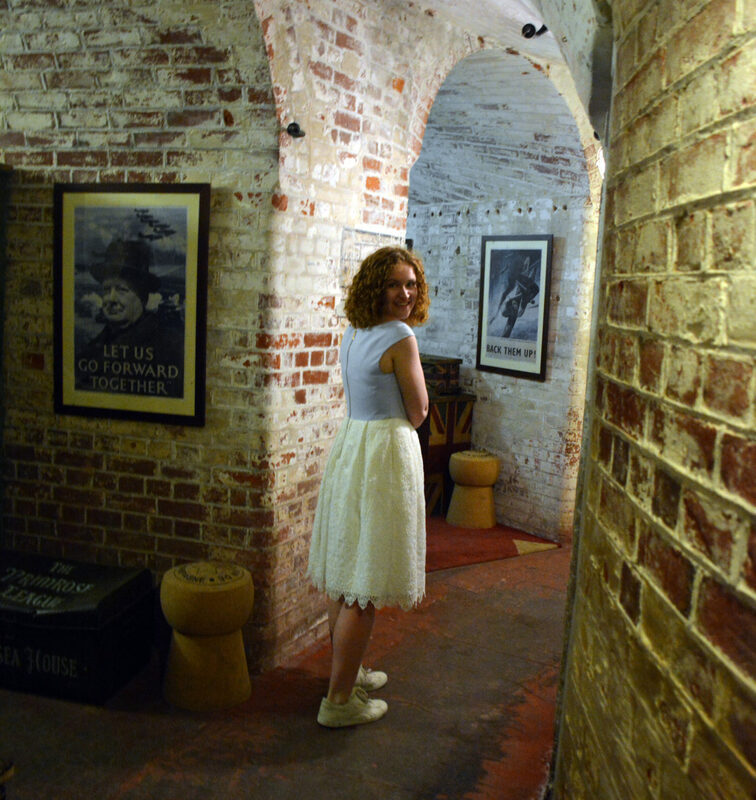 It may be small but there seemed to be hidden rooms everywhere – from the billiards and darts room to the downstairs champagne bar and the old cooks room. Don’t forget the sauna and hot tub along with the other bar and a music room equipped with a working piano. My absolute dream. There is also a hidden walk around the outside of the fort but apparently it’s haunted and only has space for one person to walk around so definitely wasn’t for me. We had a five course meal for dinner which was delicious. Then we had marshmallows on an open fire pit outside (and given very cosy blankets). For breakfast we could order some things from the cooked section including pancakes and my favourite eggs bennedict. And then there was the continental stuff on top and an epic amount of coffee. That may be an overstatement but it was really windy when I was on the fort! Pack an extra layer of clothing if you go! I do. I really do. I loved the fact that you could be so shut off from the outside world yet choose to return to it if you wanted. You want to ignore the news? Sure read one of the books in the library. You want to relax? Get in the hot tub! 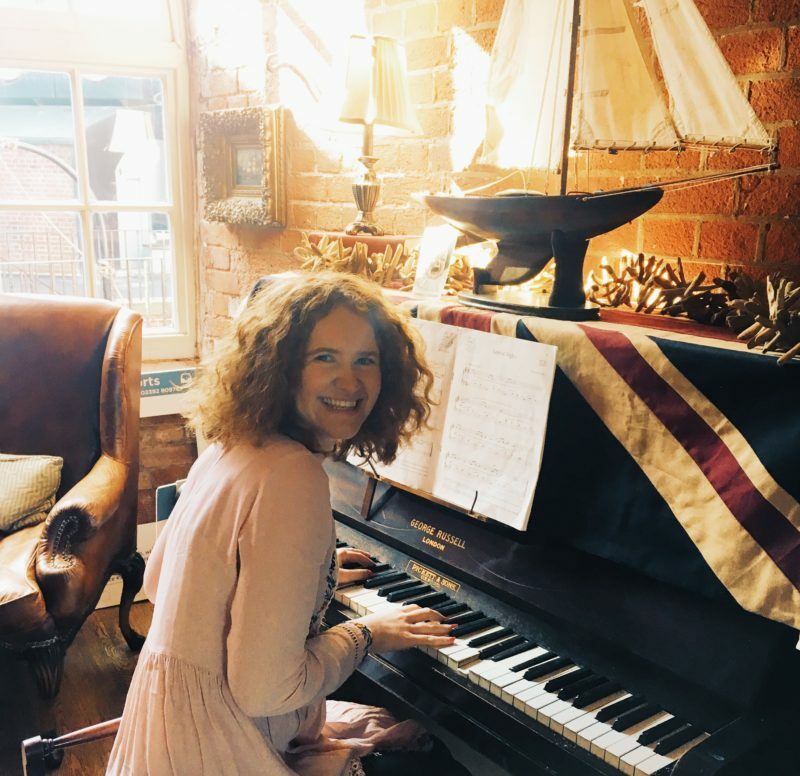 I feel like everyone needs one of these forts – it’s just a shame it costs so much money! Perhaps we could all hire one out?! My stay was while working for another freelance client and was provided to me in return for a review. All views and stuff my own. And also you really should try it there, it’s the absolute dream. Perhaps we could all pitch in and buy one? Like what you see? Pin me for later! "What to pack for a 2 week trip to China"
"Why TEFL is a career and people should stop bashing it"